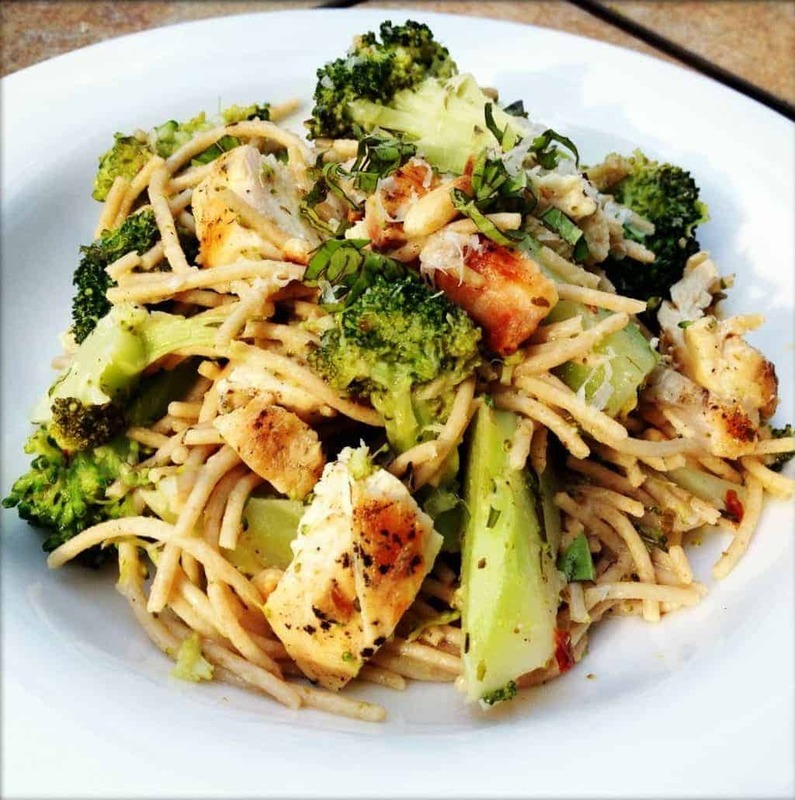 Chicken broccoli pasta gets kicked up a notch with a simple, yet flavorful, white wine butter sauce bursting with fresh lemon flavor. Whenever I travel out of town, I like to stock the fridge with plenty of food and ready-to-eat meals that my husband can easily reheat for the boys. Last week I had the opportunity to travel to Virginia to visit one of Sabra’s chick pea farms. As someone who has been eating and making hummus her entire life, this was quite the exciting experience!! Since I didn’t want to boys to survive on Cheez-Its and Oreos, I decided to whip up this fast and easy Chicken Broccoli Pasta with Lemon Butter Sauce. A little white wine is used to deglaze the pan after browning the chicken but you’re welcome to use chicken broth to avoid the alcohol. Personally, I love the added flavor it adds in the background of the dish and I don’t worry about serving it to my boys since most of the alcohol content cooks off. This pasta is ideal for entertaining a crowd, gifting to a new mother or making ahead for an easy, re-heatable week day lunch. Chicken can easily be swapped out for shrimp, pork tenderloin or even white beans. 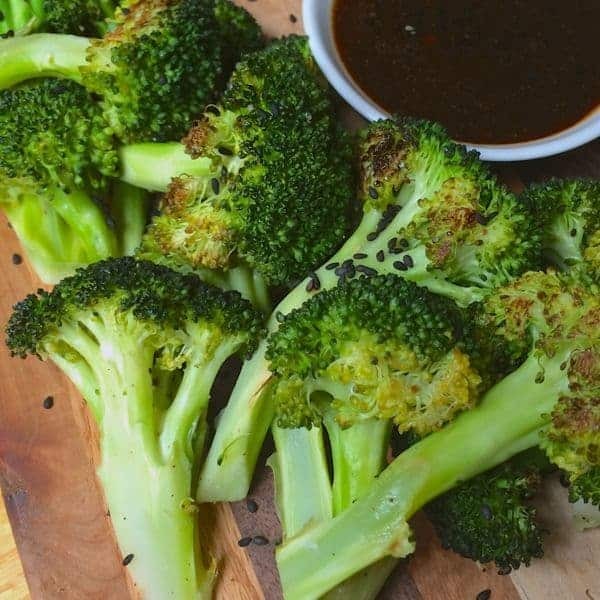 Broccoli is in season right now but this method also works well for asparagus, green beans or peas. Walking through Times Square with friends knowing that your family isn’t surviving on ice cream and Gold Fish? Priceless. Bring a large pot of salty water to a boil and cook pasta according to package directions. Two minutes before the pasta is done cooking, add the broccoli to the same pot cooking the pasta. Drain the pasta and broccoli and return to pan; set aside. Heat a large skillet over medium-high heat and add cooking spray. 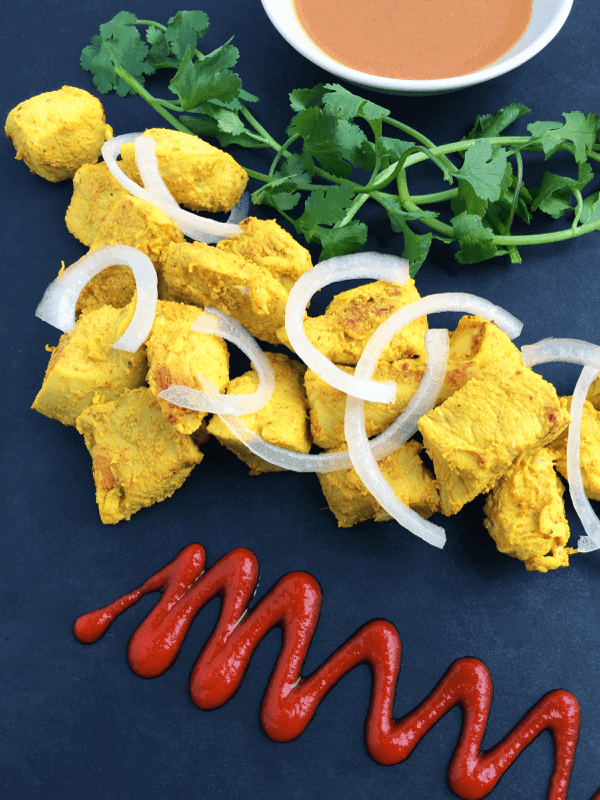 Sprinkle cubed chicken breasts with salt and chili flakes. Add to pan and brown, 7-9 minutes. Remove chicken from pan and reserve. Leaving the pan on medium-high, add white wine and use wooden spoon to deglaze pan by scraping up the browned bits from the bottom. Bring to a boil then reduce to simmer. Add butter to the pan and heat until melted. Stir in lemon juice and chicken broth then simmer for additional minute or two. Add reserved chicken and any juices formed back to the pot with the pasta and broccoli. Stir in lemon butter sauce and toss well. Check for seasoning and adjust accordingly. Stir in olive oil before dividing between 6 plates. Serve with plenty of Parmigiano reggiano and fresh basil. This was such a nice departure from the creamy, gloppy chicken broccoli pasta dishes I’ve made in the past. I was searching for a use for my leftover roast chicken, and this worked wonderfully. I skipped the browning step and added a bit of the flavorful leftover gravy to make up the difference in flavor. Oh I’m so happy to hear you enjoyed it Liz!! Let me know if you try any of my other recipes!! Made this tonight, it’s great! I think the leftovers wil be even better tomorrow after the sauce really soaks in the pasta! You got that right!! Leftovers were even better! Glad you enjoyed! This looks amazing and I totally agree my boys would do that same thing. When I leave them for a night or two its so much less stressful! Thank you Liz for another nice recipe. Have a good weekend! hhaha I wish I could give you a big bite! What a great make ahead meal! Love the lemon butter sauce! I’m a fan of make-ahead meals when I’m ahead of town for the boys, too. I’m adding this one to my must-make list! I hope you like it sista! Totally my kind of dinner! You are such a great mom. I know that mine would be eating countless amounts of goldfish and cheese if I didn’t plan ahead. Love this pasta dish. Simple pleasure are sometimes the best! Love that you have veggies with EVERY meal!! Looks so tasty. Love pasta and broccoli together. How did they like it?? Very good, I went easy on the chili flakes will add more next time!! I love adding more at the table too – I am glad you enjoyed! that sounds like one fun trip…lemon butter sauce sounds pretty delicious. It was so much fun!! I hope you try this pasta! Loving this pasta, especially with that sauce! What a great make ahead meal for while you are gone! And loved following your pics of the trip, I want to go back to NYC! Aww I love NYC too!! I wanted to stay longer! Now that is my kind of trip!! If I got to see a chick pea farm I would be in heaven! 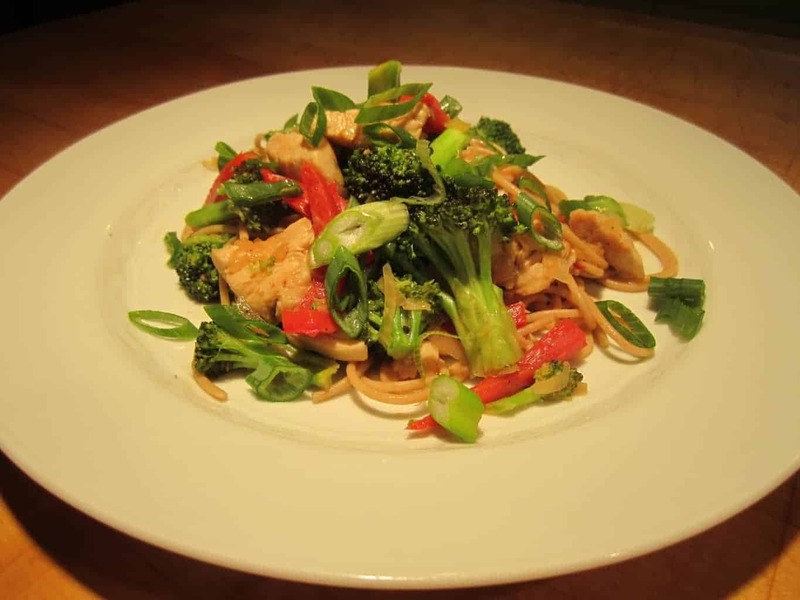 ;) This meal looks so healthy and uses such healthy ingredients. Saving for a busy night! It was seriously so amazing Julia!!! I hope you like this pasta! How do you recommend reheating it? I think reheating it in a sauté pan with a little olive oil would be best but microwave totally works too.